Which poll option most closely describes your situation? Teaching myself Japanese music using books, DVD's, the forum, etc. I never had a teacher, but I got a book in Japanese (Shakuhachi nyuumon) and learned all the atari etc and Chidori and Rokudan from it. Played concerts of Sankyoku for several years with koto and shamisen players in London and Toulouse France, but then stopped because I got fed up with playing sad stuff all the time. My main interest is in free improvisation. I did enjoy playing Shika no Toone which I learnt with the Katsuya Yokoyama record and a score. I would still be interested in meeting a teacher if I had a better instrument than these store bought numbers. One struggles on. Occasional trips to Paris for a lesson? But it sounds like you have got quite far on your own! Would love to hear you play! That's very impressive, Paul! Rokudan is tough piece! Hi Kiku, I just uploaded a video which demonstrates the doobrie I mentioned (and how I play), here: http://www.youtube.com/watch?v=jc4NMcol3ew . Hi J Danza, thanks for the suggestion. I met Monty some 25 years ago in France, and loved his work. He was a bit annoyed with me because I used a beautiful piece of root stock to make a humdrum flute. I find the instruments I want are all out of my price range Even if they weren't, mail order is still lucky dip as regards playability. Don't let the old trick of the ego: "I'll get to it when I have a great instrument" get on your way... you have the soul and the talent... go for it! you honestly and nobly showed what the human spirit is most capable and willing to express, even in times of chaos and uncertainty (wow). That being, the capacity to sound out harmony in the midst of external conflict and disharmony. MUSIC! I cannot say how much I respect your spirit, since words fall shy of the mark... but I salute your choice to sound out your voice in the stream of outrage and upheaval, which inevitably speaks of the unpleasant results of such an erratic state of mind. Through the sound of music, souls are awakened to a greater purpose. I am both a musician and a martial artist. From my windowsill, what we consciously CHOOSE to honestly express reflects our own convictions about what the power of our intention can do to change our perception of said environmental background. This is clearly shown by the very way we move and the music we freely express. Ultimately, this is all we can do to balance the stress of our paradigm, human existence. 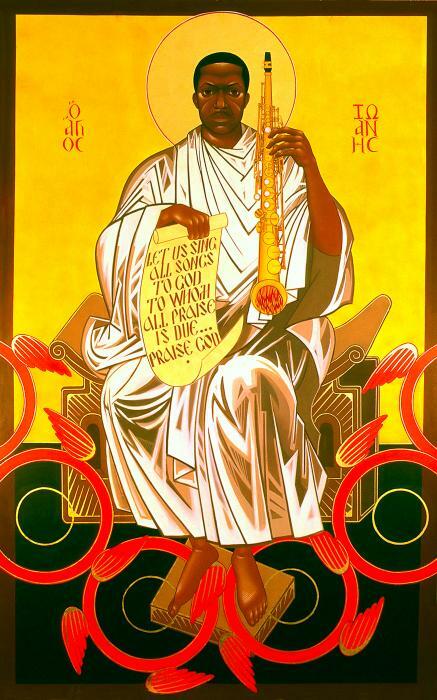 What you have recorded, given my deep love for both, the genius of John Coltrane and the timeless beauty of the Japanese shakuhachi... leaves me breathless at your admirably centered effort. Kudos brother! Thanx for sharing your heart song. I'm certainly not qualified to speak for the rest of the tribe (an extreme understatement)... but Ive got a funny feeling that I am not alone in this applaud. To quote Jimi Hendrix, maybe not the most shakuhachi-oriented character in our collective awareness (and I naively feel the Komuso priests of yore would possibly nod on this point? ), "Keep on thinking free." It's kind of like a planetary alignment. A unique song from a different world on a spiritual instrument from a different culture to the backdrop of something important. Charles, you're onto something here: Planetary alignments when you practice and perform shakuhachi. It must have some deep tonal impact on the sound, almost as much as if you played standing in a Hungarian mineral bath with a cocobolo utaguchi inlay on two identical shakuhachi made out of the exact same bamboo, with the exact same bore profile, smoothness and urushi formula, both made on Thursday October 11, 1956 at 9:31 am in the morning near the corner of 7th and Main at the Greyhound Bus station in Los Angeles. Of course there is the the obligatory Taoist Shaman burning prayers at a little coal hibachi alter, but that's just a given. 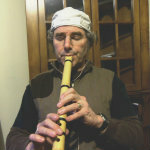 We all know that it creates the deepest of all sounds in the shakuhachi not to mention 36 additional qualities. And musing on that, I wonder if you could play backwards better during a Mercury Retrograde? But I think it would have to on a 2.0 Shinzan with a gold lined ivory utaguchi, made from 70 year old Kyushu bamboo with special markings that alternately appear to be the Virgin Mary, George McGovern and Pǔhuà. The tonal possibilities would be limitless. Blessings on all X paradigm for material distinction. 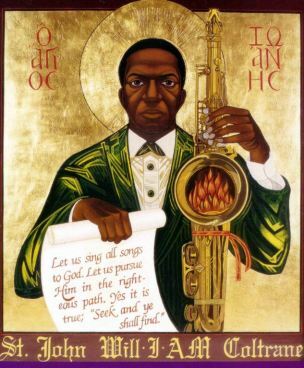 Fantasically beautiful icons of John Coltrane! I am Johnny, a poor American who likes to smoke, drink, play shakuhachi and black out. I forgot where does the void go? Oh, my aching tooth! You know Mr. Filter, I'm still looking for someone who can cover Johnny Cash's cover of Trent Reznor's "Hurt" on shakuhachi.